pretending it's still yesterday evening here is the booklet I was talking about in the last post! It's eight pages full of information in a lovely shade of beige. Everyone who finds that colour in our poster gets a cookie. Part of it is the running order for Friday, Saturday and Sunday which you can have a look at and download from here. Only two more days until the pre-sale is over! Better get your ticket for the weekend as space for your feet is limited inside Wasserturm. If you should have any more questions write us a mail to indiepopdays@gmail.com! September isn't far away at a-all! as always time has passed so quickly and it's no more than 5 days until Let's kiss and make up INDIE POP DAYS kick off, can you believe it! We've heard a lot of friends from UK, Sweden, Spain and even Greece are coming to the festival which is amazing. We are very much looking forward to see all of you! Remember if you want a weekend ticket for a reduced price make your order until Wednesday 6pm because after that we'll be busy preparing everything for the festival and won't check Paypal anymore. If there's a band on the line-up you haven't heard of yet, have a look at our newly updated Band site with infos, pictures and links! 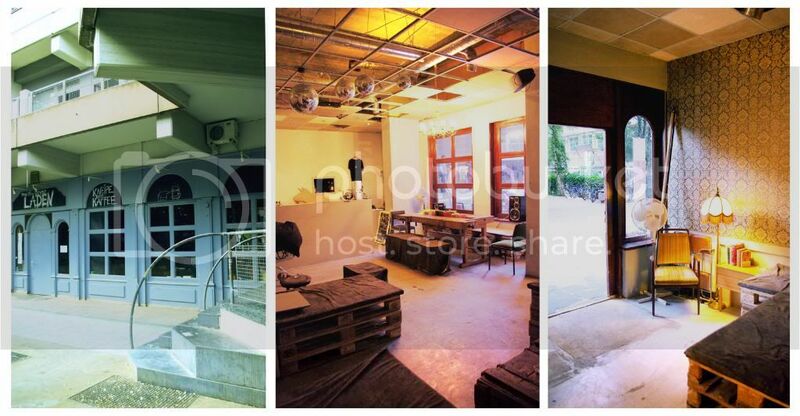 If you still haven't booked a hostel or want to know how to get to the venues look here. Be sure to check our blog tomorrow evening because there will be a booklet with everything important you have and want to know for you to download! 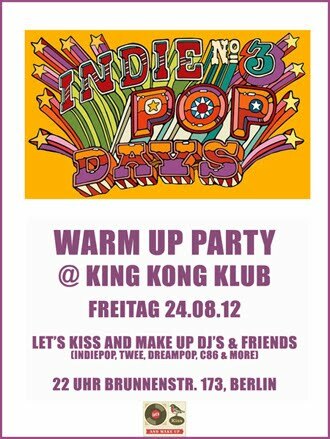 For all the Berlin people reading this tonight is your last chance to catch a Let's kiss and make up DJ Set before the festival. 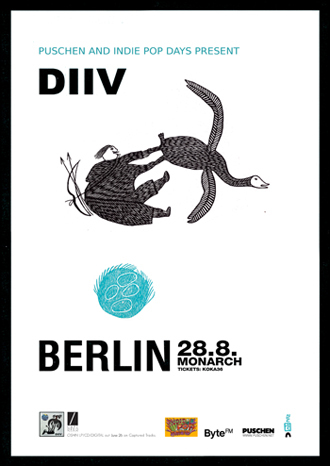 We're djing at EX!T Turbonacht taking place at Ritter Butzke (Ritterstraße 24 between U Moritzplatz & U Prinzenstraße). See you tonight or next weekend! We're so excited! We want to give you a glimpse of where our fabulous festival will take place. But sleep is overrated anyway! Cats, sponsors and party plans! We've got news! There's going to be a very special appearance by The Cat's Miaow's Bart Cummings at Multilayerladen on Friday! Huzzah, this weekend will start off with an indiepop legend coming over all the way from Down Under. After lots of contact lists that confused everyone, numerous attempts to write serious and persuasive sounding e-mails and many telephone calls we found two very nice companies who are supporting INDIE POP DAYS. It's the organic and fairtrade bakery Märkisches Landbrot that makes the best rye bread in whole Berlin and Wostok, a new organic soft drink inspired by "Baikal" formerly THE soft drink of the Soviet Union. We are more than happy to have them as supporters as we like their products a lot. You will be able to buy some lemonade at INDIE POP DAYS and maybe even bread with your tofu bratwurst! More News! We found a place for the party on Saturday. 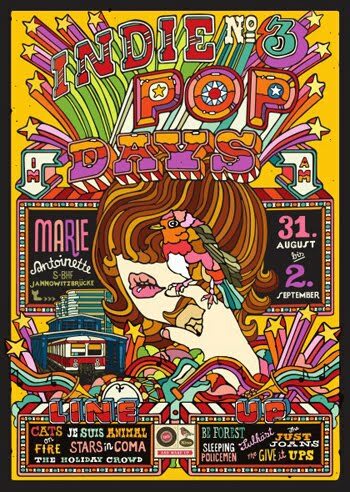 After Lucky Soul's set we'll stay at Wasserturm until 1 am and after that me and you and all the other popkids we know will head over to Golgatha and dance until the early morning hours. DJs soon to be announced! 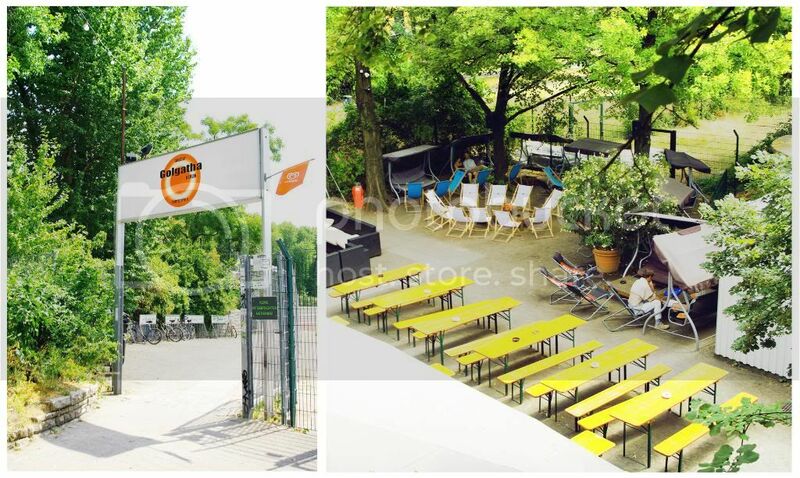 Golgatha is a very special venue because it's surrounded by the beautiful Viktoria Park and located at the foot of Kreuzberg - the legendary urban mountain. 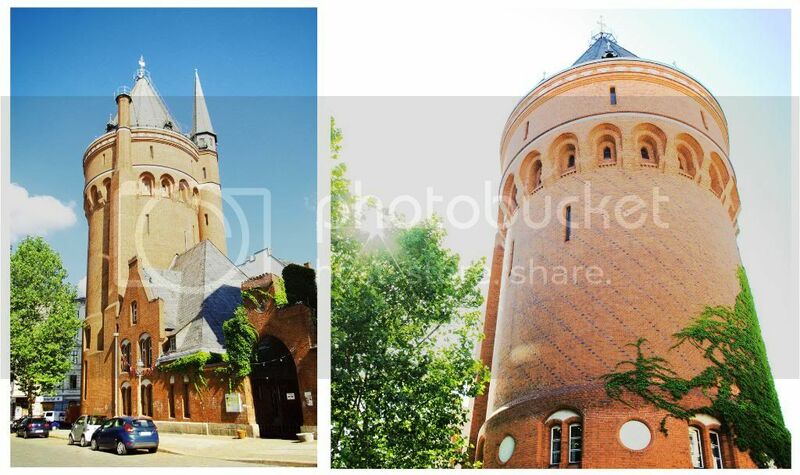 It's only a 10 minutes walk away from Wasserturm but we will make sure you'll find it by putting up signs. And if you're feeling adventurous or romantic OR even both you can walk up the hill and enjoy a fabulous view over Berlin at night. That's it for now, only 5 weeks more to go! Henry Rollins might not dance but we will!